Amazon’s AWS cloud computing division today announced a new database service that will make it easier and cheaper to quickly launch relational databases that don’t need to process data continuously. 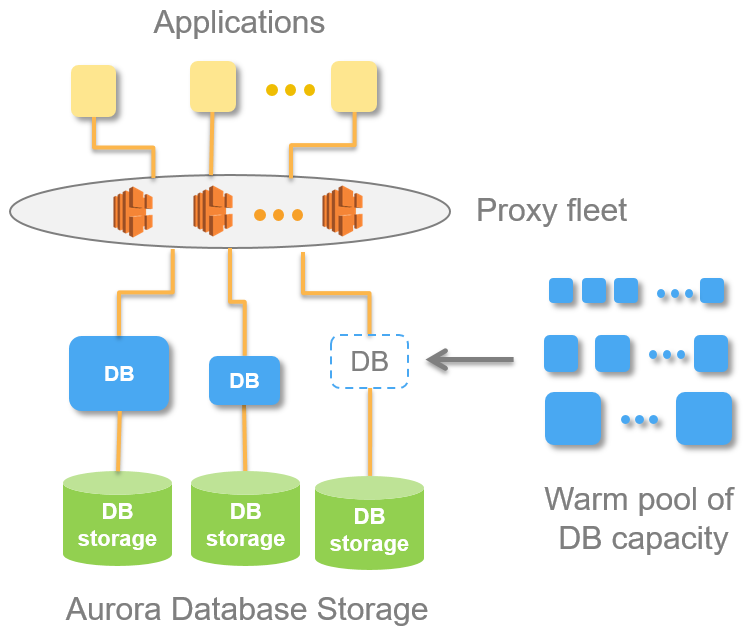 Aurora Serverless, which, unsurprisingly, was built on top of AWS’s existing Aurora database system, is basically the database equivalent of a serverless, event-driven compute platform. The most ingenious feature here is that the data storage is separate from the processing. Aurora Serverless users only pay for the processing when the database is actually doing work (and, of course, for the storage, but that’s relatively cheap). The plan is to launch this service out of preview at some point next year and AWS expects to share more information about it then. For now, Aurora Serverless is only in preview, but once it is live for all, it will allow developers to get access to an on-demand, serverless relational database that they don’t have to provision and that can easily scale up and down as necessary. Users only pay by the second while the database is in use. Currently, to run a database, you’d have to spin up a machine to run it on. Aurora Serverless does all of this for you.